Aquilegia vulgaris is a flowering herbaceous perennial plant, up to 4 feet (1.2 m) tall, with branched, thinly hairy stems. The leaves are pinnate, with the basal leaflets themselves trifoliate. 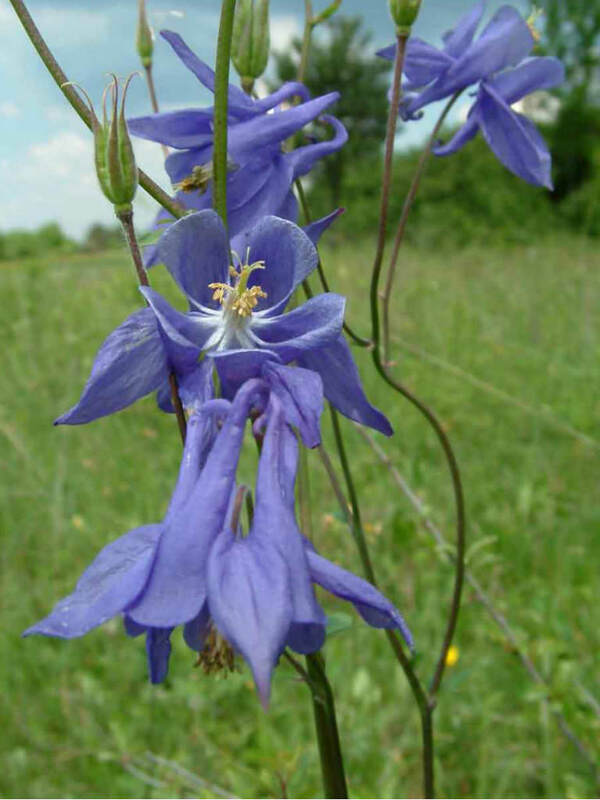 The flowers are blue (sometimes purple, pink, light red and white), up to 2 inches (5 cm) wide, pendent or horizontal with hooked spurs, and appear in early Summer. Columbnie plants can handle full sun. It’s the combination of heat and dry soil they don’t like and mulching will help alleviate that. 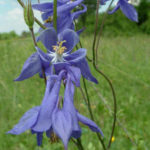 They will self-sow, but new plants can be lost if the summer gets to hot. Also, plants tend to be short lived, fading out within 3 years. Hedge your bets and save some seed to sow in the fall or falling spring. 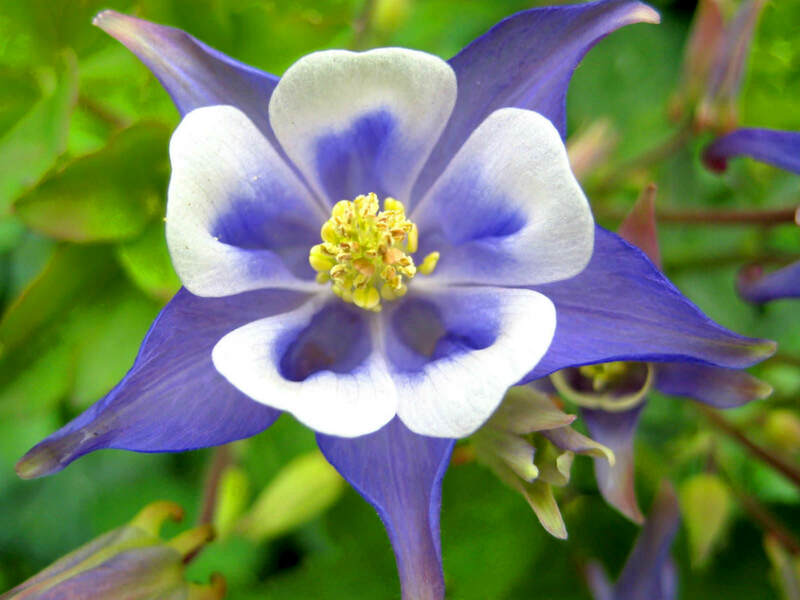 Keep in mind that Columbine varieties readily cross pollinate. 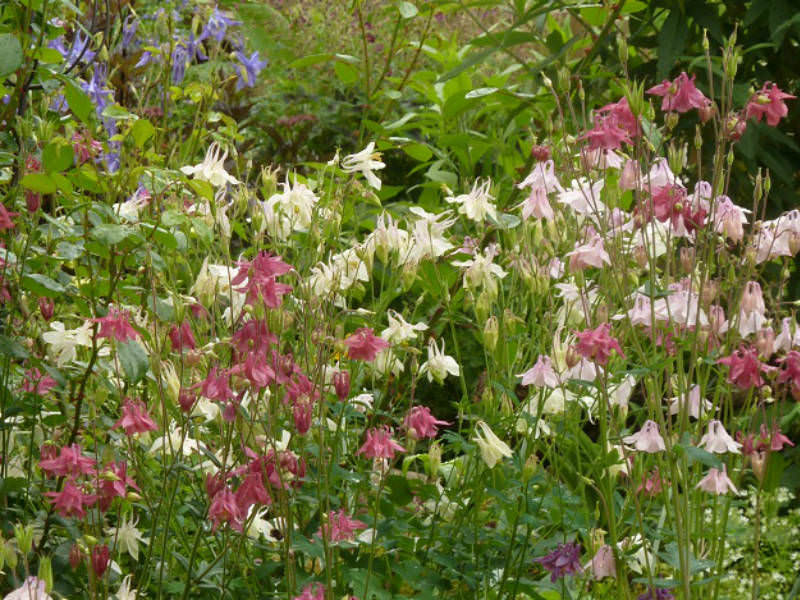 If you plant more than one variety, be prepared to see new colors and combinations. 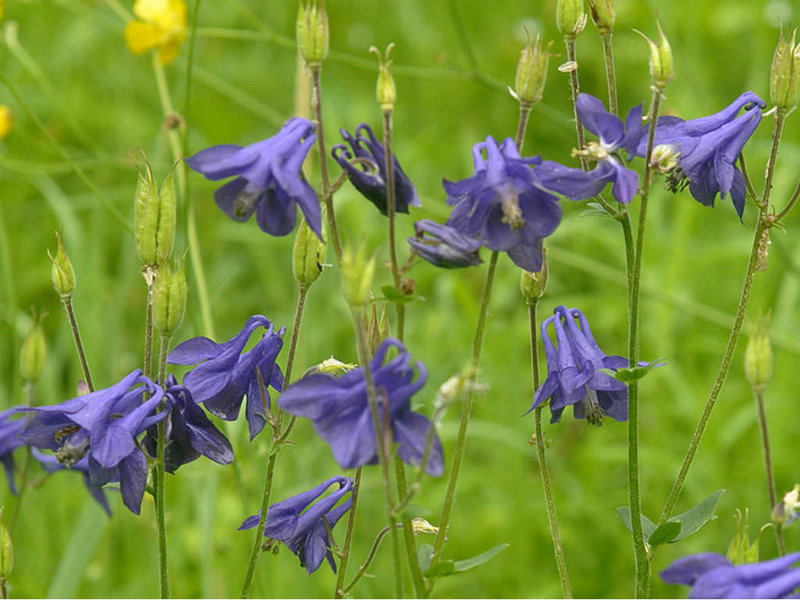 If self-sowing becomes a nuisance, shear the plants back in mid-summer, to prevent seed pods from forming. 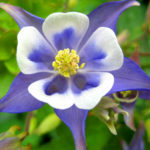 You can start Columbine from seed or plant. Seeds can be direct sown throughout spring. The seeds need light to germinate, so simply press them on the soil surface and barely cover with soil. 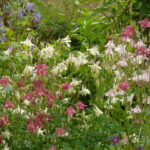 Since Columbine is a perennial, it will take 2 years from planting seed, for them to bloom… – See more at: How to Grow and Care for Columbine.